Solenoids are a great way to induce linear motion for pushing, pulling or controlling switches and levers. According to the datasheet this solenoid is rated for 36V but they work like a charm at 12V. We've been controlling them with the Arduino Power Driver Shield, there's even some example code below. 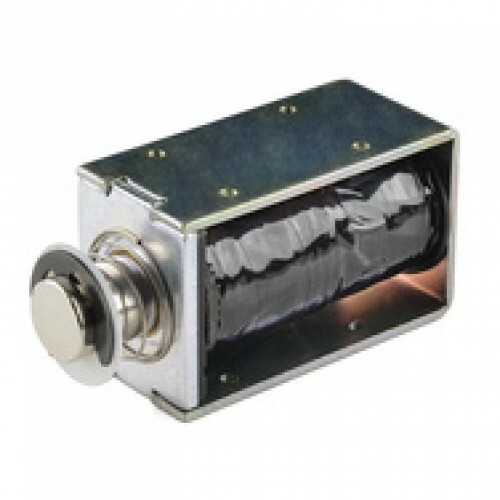 With a throw of 10mm these solenoids are great for all kinds of motion applications such as actuating door latches, automating percussion instruments or just poking people.